Bathurst, February 10, 2017 – The all-new Audi S4 sedan and Avant have arrived in Australia, powered by an all-new 3.0-litre turbocharged V6 engine. 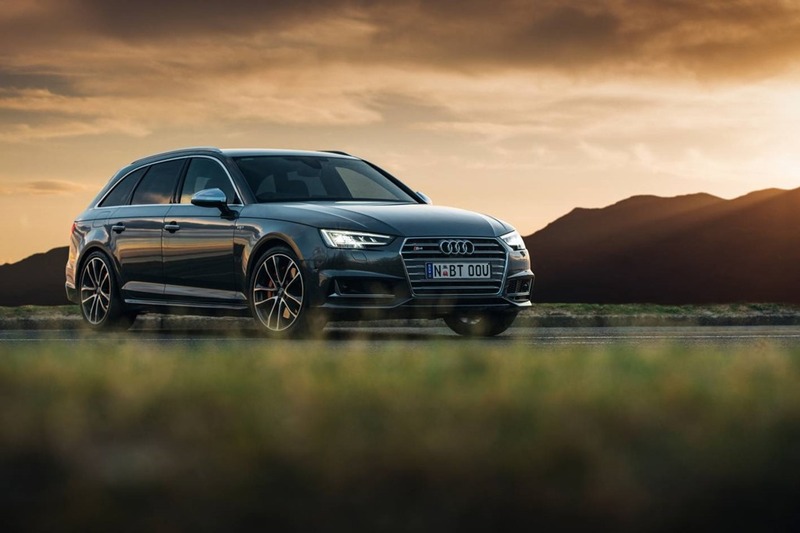 With the same standing acceleration figures as the last-generation RS 4 Avant – reaching 100km/h in just 4.7sec – the all-new S4 packs serious performance into its svelte new shape. “Over five generations, the Audi S4 has established itself as a sports car that provides a unique combination of muscular performance in a sophisticated package,” said Andrew Doyle, Managing Director of Audi Australia Pty Ltd.
“The all-new Audi S4 sedan and Avant stay true to this formula, while offering more progressive technology than ever before. Intelligent infotainment and connectivity systems are hallmarks of this new model, as well as highly developed chassis concept that reduces weight by 75kg, while improving handling and ride comfort. The all-new 3.0-litre turbocharged V6 engine in the S4 is an all-new design from the ground up, wand is 14kg lighter than its predecessor’s supercharged powerplant. The new engine produces 260kW (up 15kW), while peak torque of 500Nm (up 60Nm) is available from as low as 1370rpm. Such spontaneous response is aided by the twin-scroll turbocharger’s location inside the 90-degree vee, which ensures the shortest possible travel paths for exhaust gases to pass through. Efficiency is also assured, at just 7.7 L/100km for the S4 sedan, thanks in part to its clever B-cycle combustion method. Matched to the fast-shifting eight-speed tiptronic automatic transmission and the legendary Audi quattro all-wheel drive technology, the al-new S4 can reach 100km/h in just 4.7sec (0.3sec faster). At the heart of the quattro all-wheel-drive system sits a mechanical centre differential. Under normal driving conditions, the differential splits the engine’s torque 40/60 front/rear, however up to 85 percent can be directed to either end if slip occurs, while the optional sport differential can apportion even more torque to the rear wheel with the most grip. This effectively ‘points’ the car towards the apex of a corner. This quattro system is the perfect partner for the newly developed five-link front and rear suspensions, further complemented by the standard adaptive dampers that can cater for a comfortable ride, dynamic handling and everything in between via the Audi drive select system. The brake system is suitably powerful, with 350mm ventilated front discs clamped by 6-piston calipers. The design of the new S4 is characterised by horizontal lines at the front and rear that emphasise the car’s width. Aluminium elements give structure to the Singleframe grille, while side inlets feed cool air into the wheel housings. The headlights have distinctive serrated lower edges, and are designed with a three-dimensional look. LED technology is standard, with dynamic turn signals at the rear. From the side, the contoured side sill also contributes to the all-new S4’s chiselled look. On the boot lid or at the rear of the roof, a trailing edge and spoiler improves air flow. The rear bumper sports a black honeycomb grille, and the diffuser surrounds the two dual tailpipes. The all-new S4 Avant shares all of the performance hardware beneath its sedan sibling, however it also offers 505 litres of luggage space, or 1,510 litres with the rear seats folded flat. It comes standard with the convenient electric tailgate, activated by a sensor-controlled ‘kick motion’, as well as an electric sliding luggage cover. The all-new S4 Avant reaches 100km/h in just 4.9sec, with fuel economy of 7.8 L/100km. As expected of a sports car of its calibre, the all-new S4 comes equipped with a very high level of standard features, including the Audi virtual cockpit. In addition, the S performance package is available as an option, to enhance levels of comfort and customization, while the Technik package brings peerless technologies like the Bang & Olufsen 3D sound system. The all-new Audi S4 Sedan and Avant models are on-sale now.